This spring, a series of water main breaks led Hoboken Mayor Dawn Zimmer to declare her city’s contract with private utility firm United Water was “an unbelievably short-sighted series of agreements.” The deal, signed nearly two decades ago, left Hoboken taxpayers responsible for the cost of virtually all infrastructure upgrades, even while United Water collects an estimated $100 million in revenue over 30 years. Now an I-Team analysis of other United Water deals shows the private firm avoids paying for expensive underground pipes in other contracts as well. 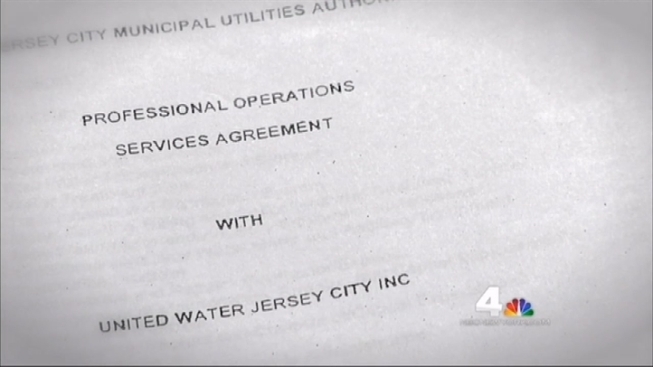 Through open records requests, the I-Team obtained copies of United Water agreements with other New Jersey towns including Jersey City, Rahway, Camden, Alamuchy and City of Orange Township. In each of the deals, United Water agreed to pay for upgrades like new water meters and software, but replacing expensive water mains almost always remains the responsibility of taxpayers. For example, the firm’s contract with the Jersey City Municipal Utility Authority guarantees United Water $14.5 million a year to operate and maintain the city’s water system, but the firm is only responsible for repairs and upgrades if they cost less than $5,000. The I-Team reviewed more than $20 million in repair invoices since 2008. One monthly bill, for inspecting water pressure sensors, was less than $5,000. Daniel Becht, JCMUA president, said the contract is fair because United Water provides safe, clean water at a cheaper price than Jersey City could afford on its own. “Do we think the contract, right now as it stands, is working? Yes,” said Becht. Rich Henning, a spokesman for United Water, said all of the company’s contracts are unique and fair to the municipalities on the other end of the deals. He said a new agreement struck with the city of Bayonne could be a model for future agreements. It encompasses substantial infrastructure investment, including the purchase of new water mains over the course of four decades. “This contract will guarantee that the system is replaced, replenished and is in far better shape than when we leave here in 40 years,” Henning said. The Bayonne agreement commits United Water to spending $2.5 million a year on new infrastructure. The city also gets $150 million up front to retire debt. Private equity firm KKR is financing 90 percent of the Bayonne deal, which is seen as attractive to investors because the demand for water is steady and rate increases are built in. Henning believes other cities with aging infrastructure will gravitate toward deals modeled after the Bayonne agreement because they are finding it more expensive to borrow in the municipal bond market in order to upgrade underground pipes. Meanwhile, there is an appetite from investors who see water systems as safe investments with steady returns. “Out of necessity comes innovation, and here the innovation was to partner with a financial institution,” Henning said.